This is one baby gift basket new parents will treasure forever. 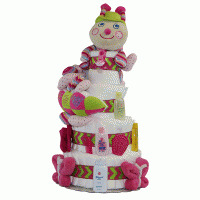 It's our A Year to Remember Photo Keepsake Baby Gift. It includes 12 bibs, each one featuring a unique embroidery design celebrating a particular month in baby's first year, plus a beautiful Forever Baby Book photo album. The brillance behind this baby gift is that it provides parents with "props" to create a visually exciting monthly photo journal of their baby throughout the first year. Parents simply need to take a photo each month of baby wearing the appropriate numbered bib i.e. "I'm 1 Month" at one month of age. At the end of the year they will have a fabulous keepsake photo journal to treasure forever. Please see sample photos below main image. Perfect for Facebook postings! Social media is a fact of life today. New parents especially love to share photos of their baby on Facebook as a way to keep friends and family up to date. 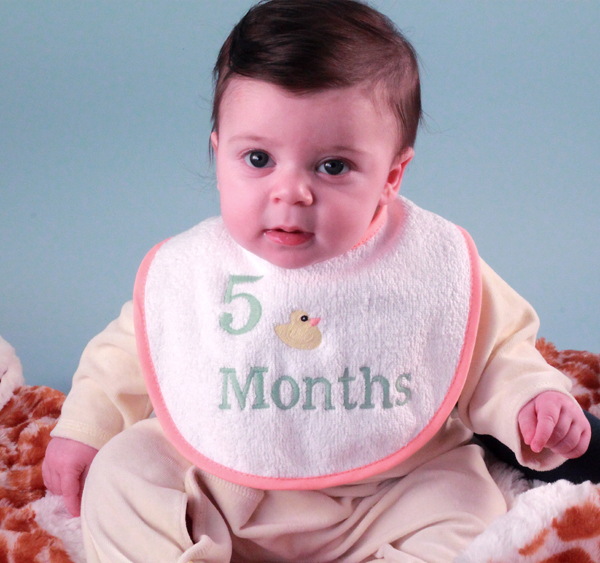 Think of how great it will be to post a photo each month of baby wearing a bib corresponding with his or her age! 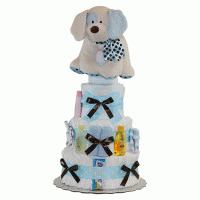 A Practical baby gift too! 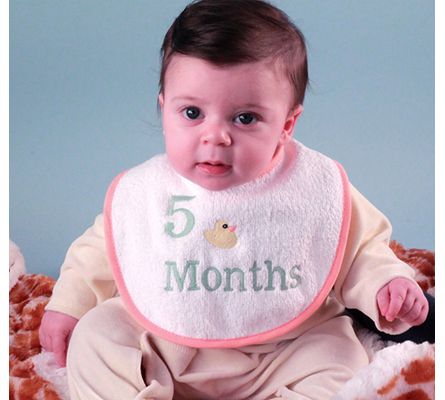 The set of 12 bibs includes 6 droller sized bibs for months 1-6, and 6 full sized bibs for months 7-12. All are Crafted with Pride in the USA by Silly Phillie from premium quality cotton terry. Each bib is individually presented in an elegant tulle bag. Once a bib is used to capture a photo, it definitely will see plenty of use at mealtime and when baby is drooling from the teething stage, which pretty much lasts the entire first year! The Forever Baby Book Photo Album is also a desirable item for new parents. This hard covered beauty holds up to 120 11" x 8.5" photo pages and includes 20 sheets of clear page protectors, 20 sheets of photo friendly paper, and 100 photo corners. It also includes the most adorable plush bear wrist rattle for baby. Every new parent creates a keepsake album of their baby and this one tops them all. Forever baby Book retails in better stores for $40. The bibs and photo album are presented beautifully in a fabric lined storage basket to make a stunning gift impression. The basket itself measures 12" x 10", has cut outs on two sides for easy handling, and will come in handy in the nursery as a place to store baby's things. 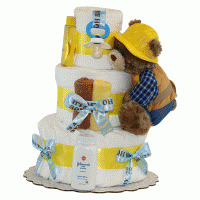 A Year to Remember Photo Keepsake Baby Gift is available for either girl or boy. 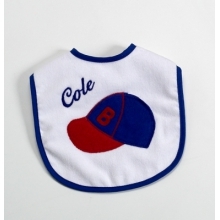 Simply select the gender and we will customize your gift with the appropriate bibs, trim color, and album.